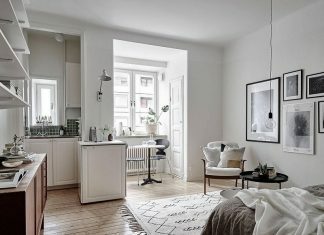 Roohome.com – Do not waste your time to take a look these three modern design ideas for the living room which are created by three amazing interior designers. 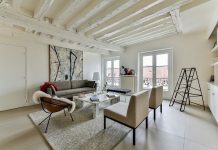 The designers have been successfully creating three stunning living rooms which were beautified with a luxurious interior. Each design has contemporary decorations and ideas in order to produce a luxurious appearance. 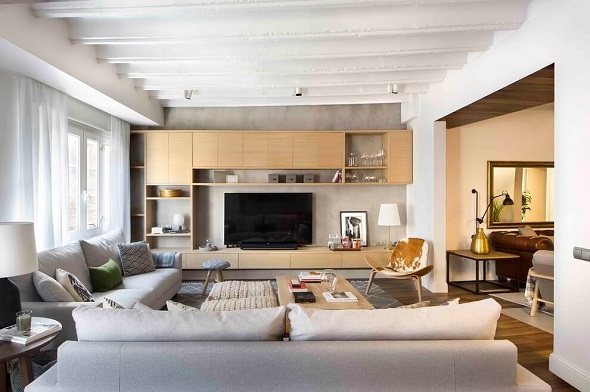 The designs will inspire you also to get a perfect living room in the middle of an urban environment. Do you want to see? Here you go! 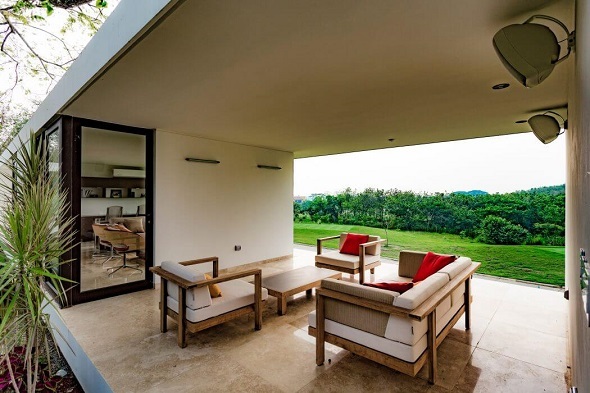 The first design of three modern designs for a living room is created by Egue y Seta. The designer brings minimalist ideas and the arrangement into the living room. The designer knows how to embody a perfect appearance in the spacious living room. 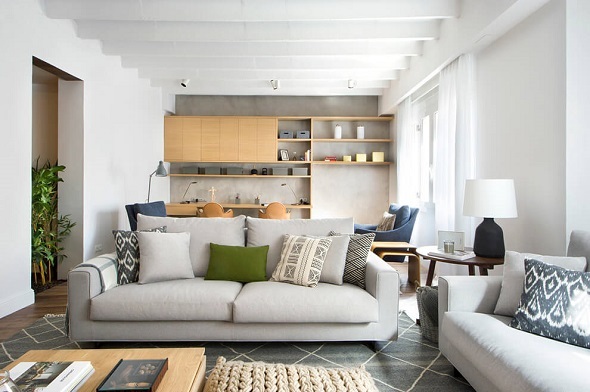 Therefore, Egue y Seta decorates the living room with a bright white and a light gray. The aim of the use this two kind of colors to make the living room brighter and cleaner. Besides that, the living room is supported by a natural sunlight directly through some windows from aside. 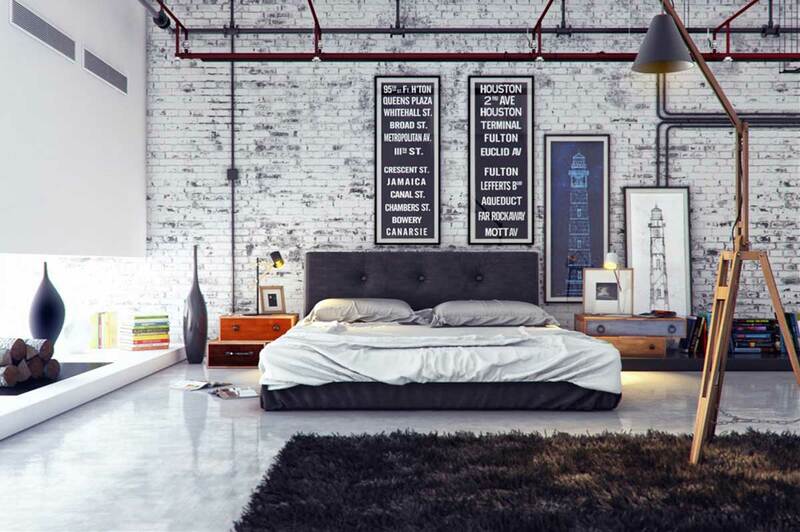 Move to the arrangement of the living room which is helped with minimalist ideas. The designer places two big couches along with a simple wooden coffee table. Other interiors are also placed around the living room. The designer also utilizes wood materials for TV cabinet and display cabinet. 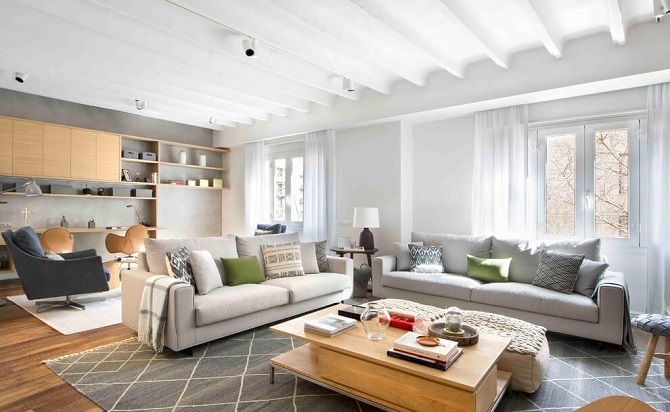 Egue y Seta shows you how to utilize a spacious living room becomes stylish and fashionable. 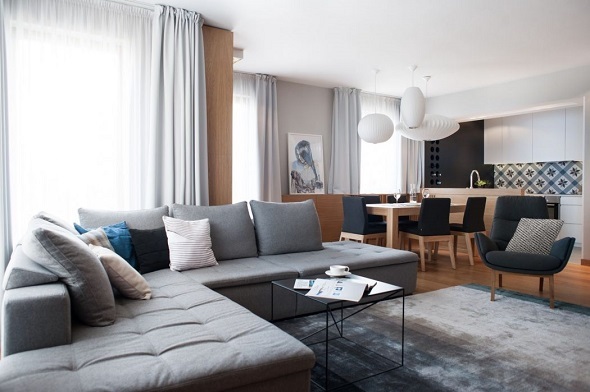 The second design is brought by Raca Architekci who decorates the living room with contemporary ideas and arrangement. 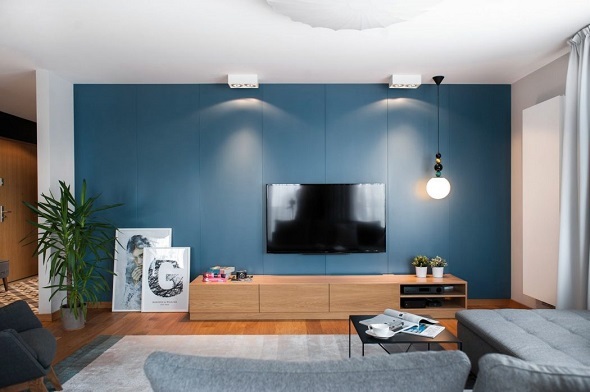 The designer pours denim blue tones into the living room which is the main point of this area. The blue looks matching because of the blue accents on the interior. 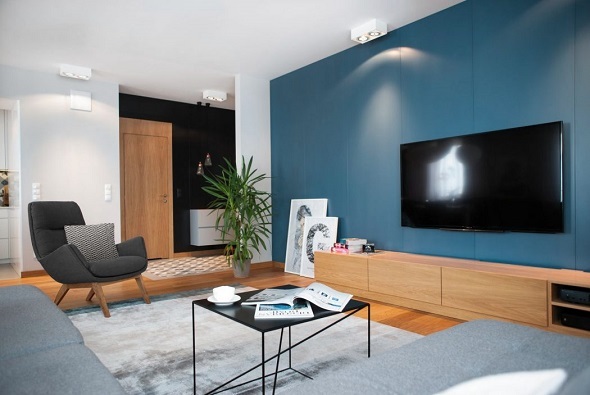 The designer also combines the blue tones with soft wood textures. You do not to be worried if you are applying a kind of dark color because you can utilize some windows to produce a sunlight from outside. 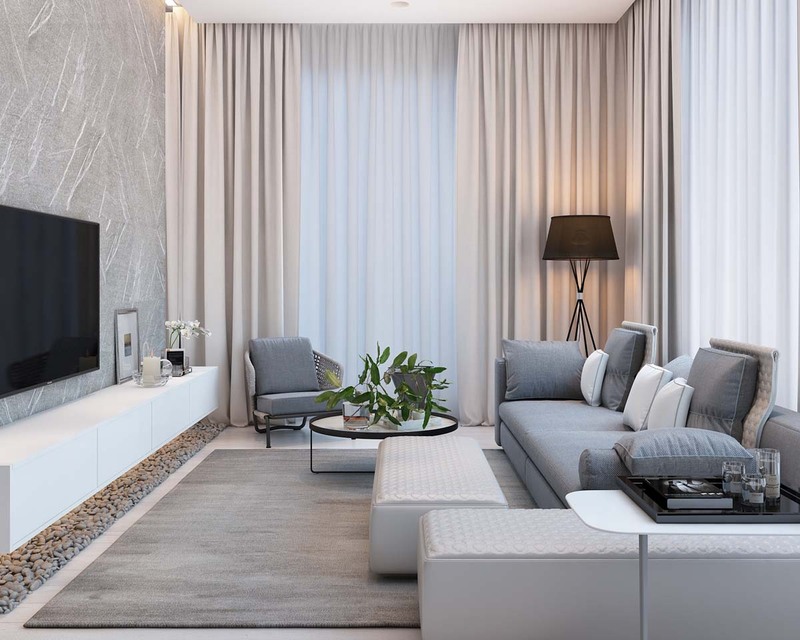 Although the designer does not place any ornaments in the living room, you can keep seeing a modern appearance because of contemporary ideas and the arrangement. 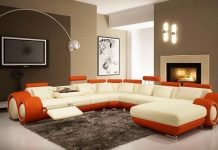 There is still one design of three modern design ideas for a living room that will inspire you a lot. 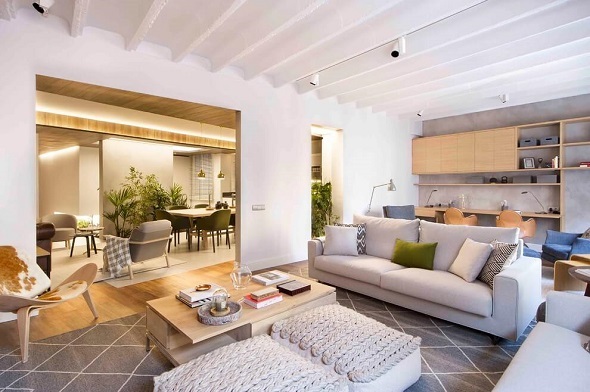 The second design of modern living room design is created by Alberto Zavala Arquitectos. 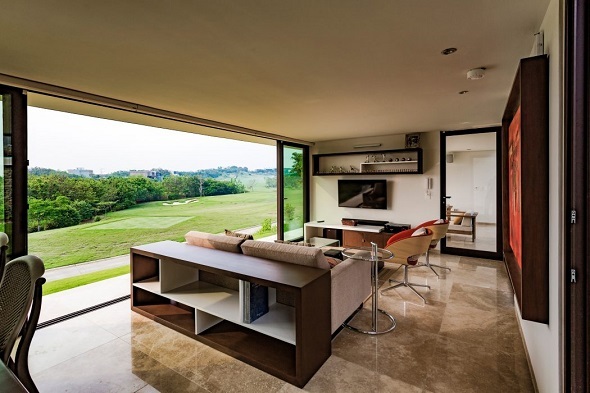 This brilliant designer brings his luxurious ideas into a modest living room which is suitable a natural atmosphere. 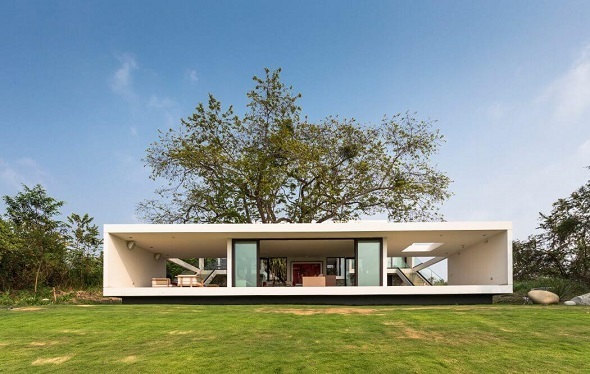 If you see, the living room has a rectangular shaped home design. This is a creative home design which makes the living room more creative as well. Therefore, the designer applies luxurious ideas from the interior, arrangement, and the appearance. 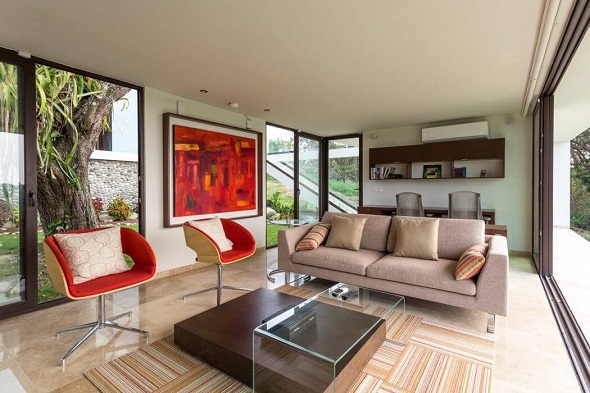 Do you wanna have a modern living room design like this one? Grab the chance! You get a new inspiration from these three modern design ideas for living room. Each of them is a living room designs 2016. If you want to see other designs, just visit and check here. Have a nice day!